Sonoma West Medical Center, that arose from the ashes of Palm Drive Hospital, has become Sonoma Specialty Hospital, operated by American Advanced Medical Group (AAMG). In this article, Matt Salas, SSH’s Chief Operating Officer, introduces us to the vision and unfolding reality of Sonoma Specialty Hospital for the community of West County. AAMG is a company that started six years ago in Modesto, California (for more info see: AAMG Company Profile 2019) AAMG company is unique because each member of its governing staff is a health care provider. I’m a registered nurse; our CEO, Gia Smith, is also a registered nurse; our founder, Dr. Gurpreet Singh, is a gastroenterologist; our Director of Operations is a respiratory therapist; the CEO for our facility in Modesto is a MSW, a social worker. As health care professionals, our intention is to provide high quality patient care within the current healthcare environment. We started with one Long Term Acute Care hospital, and from that we grew into more hospitals, an outpatient pharmacy, home health and hospice services, and skilled nursing facilities, with other facilities under construction. When Dan Smith, Dennis Colthurst and Gail Thomas met with Dr. Singh several years ago, asking for help, our company was too young at that time. But we were deeply impressed to hear how the hospital in Sebastopol was reopened by grassroots support. We have since grown, matured and expanded, not only into large urban areas like Long Beach, but by successfully reopening and operating small community hospitals in Colusa, Willows, and soon Coalinga. Once we set down roots, that’s where we’re staying. It’s that responsiveness that enables us to be successful as a company. Due to changes in the insurance industry and other factors, many small hospitals throughout the country have been closing, which is tragic for their local communities. AAMG is focused on finding ways for community hospitals to survive and thrive. Our niche has become small, rural hospitals, and critical access facilities. Our focus is to effectively manage these hospitals that are struggling in the current healthcare climate. Later, when we were included in the Request for Proposals (RFPs) sent out by the Palm Drive District Board, we were ready to respond. 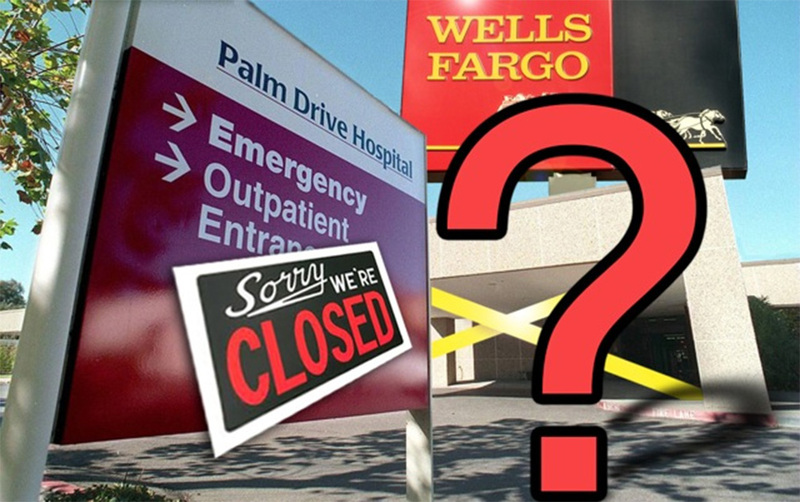 large hospital chains dominating the market is a failed strategy. Instead, we’ve identified a type of facility that is absolutely needed, but does not exist in all of Sonoma County: a Long Term Acute Care (LTAC) hospital. When critically ill patients, often in ICUs, require hospital stays longer than their insurance will cover, hospitals look for places to send these patients—either home for hospice care (with little hope there for recovery) or to the nearest LTAC facility which, for Sonoma County patients, has been far away from the patient’s home and family. Our community hospital in Sebastopol—Sonoma Specialty Hospital—is in the process of qualifying as an LTAC facility that will make it possible for local critically ill patients needing high quality medical care to have the time and specialized attention needed to recover without being transported to a far away location. Many times, especially with ICU patients, an extended period of time is needed to wean them from a ventilator or to recover from serious conditions. Having an LTAC in the area provides the option of receiving ongoing treatment for up to 45 to 60 days, which is better than being sent home with Hospice if there is any possibility of recovery. The response from local hospitals to an LTAC preparing to open in Sebastopol has been significant. Hospitals have reached out to us even before we’ve contacted them. Their case managers, who must find places to send critically ill patients, are eager to send them to us. After our LTAC designation is granted, we are expecting to be very busy, and to be hiring more staff. Some people have voiced concern that LTAC patients will be transferred in from distant hospitals. The primary referral base for transfers will come from the greater Sonoma County area, although some patients may come in from adjacent counties. Hospitals prefer to send patients to the closest available LTAC facility. Under Federal law, Long Term Acute Care hospitals are not allowed to offer emergency services in the form of an Emergency Room. Therefore, it was necessary to close the ER in advance of applying for LTAC status. While this closure was difficult for the community to accept, it does not preclude our dedication to serve the healthcare needs of the community. According to the hospital’s history, nearly 90% of patients who were cared for at the Sebastopol ER fit an “urgent care” designation, while around 10% were gravely ill or seriously injured patients. A 24 hour Emergency Room geared toward high-end emergency response is exceedingly costly to maintain, especially when patient census is erratic. It makes sense, then, to establish an Urgent Care facility, allowed within an LTAC environment, which is more affordable for the patient and for the hospital. An on-demand Urgent Care facility located within the hospital will utilize the hospital’s resources to expertly handle most of the emergencies that a typical family or individual would experience, offered efficiently with a very short wait time. We are scheduled to begin Urgent Care services in early February, to be open from 7 am to 9 pm, seven days a week. What does Sonoma Specialty Hospital offer to West County residents? It is very important for us to serve the medical needs of the West County community. With the addition of Urgent Care within the hospital, the services available to the community are expanded significantly on a no-appointment basis. If someone comes into the Urgent Care or is referred by a local physician requiring hospital care that Sonoma Specialty can provide, the patient can be admitted to the hospital, including the ICU. A broad range of out-patient services are available at the hospital. Your doctor can send you to have lab work done at Sonoma Specialty in our full service laboratory, or to have an x-ray, a CT scan, or 3-D mammography, and other services. The operating room is open, although out-patient surgeries are temporarily postponed while we seek partnerships with surgeons in the area. This is necessary in order to have the volume of surgeries necessary to cover the considerable expenses of staffing the OR and maintaining expensive equipment and supplies. When this is accomplished, orthopedic and other surgeries will continue. It’s clear to anyone who works in the health care industry that LTAC is something that Sonoma County needs and that the combination of LTAC and Urgent Care, with a range of out-patient services is a winning combination for a hospital of this size in this type of environment, and for the community. This facility belongs to West County and this is the community we are here to care for. Because we are still an acute care hospital participating in the Emergency Management System for the county, this hospital, with all its capacities, will be available in all types of emergencies to care for patients as we did last year in the fire. Going forward, we imagine this hospital functioning as an expanded hub for health care services in West County, fostering collaborations with other healthcare providers. That’s what we’re moving toward right now. After the opening of Urgent Care and LTAC, we plan to expand our range of out-patient services within the following months, such as dialysis and other offerings. This community hospital has long been honored for its consistently excellent patient satisfaction and personalized care. We are dedicated to continuing this tradition, which is essential for the hospital’s success. This facility belongs to West County and this is the community we are here to care for. 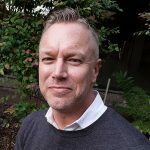 Matt Salas is a Registered Nurse and since October, 2018 has been the Chief Operating Officer of the new Sonoma Specialty Hospital in Sebastopol. He has been the Director of Quality, Compliance and Risk for the American Advanced Management Group for the past five years, as well as Chief of Nursing in Modesto's Central Valley Specialty Hospital. American Advanced Medical Group (AAMG) is the only company that responded to the widely distributed Request for Proposal (RFP) to operate our community hospital sent out by the Palm Drive Health Care District Board. It is a miracle that AAMG—that specializes in successfully operating small, rural hospitals—is now operating our District hospital. This article by Matt Salas is an excellent introduction to Sonoma Special Hospital and the services that are currently available to the community. In recognition of the excellence of their program, the District Board of Directors voted 5-0 to lease/sell the hospital and transfer the hospital license to AAMG in order to preserve hospital services to the community into the future. Taxpayers within the healthcare district are asked to vote Yes or No during a Special Election scheduled for March 5. To preserve the only hospital west of Hwy 101, it is critically important for this initiative—Measure A—to be approved. Otherwise the hospital may be lost with the property sold to developers. This article by Matt Salas is an excellent introduction to Sonoma Special Hospital and the services that are currently available to our community. American Advanced Medical Group (AAMG) is the only company that responded to the widely distributed Request for Proposal (RFP) to operate our community hospital sent out by the Palm Drive Health Care District Board. It is a miracle that AAMG—that specializes in successfully operating small, rural hospitals—is now operating our District hospital. In recognition of the excellence of their program, the District Board of Directors voted 5-0 to lease/sell the hospital and transfer the hospital license to AAMG in order to preserve hospital services to the community into the future. Taxpayers within the healthcare district are asked to vote Yes or No during a Special Election scheduled for March 5. To preserve the only hospital west of Hwy 101, it is critically important for this initiative—Measure A—to be approved. Otherwise the hospital may be lost with the property sold to developers. Thank you Matt and sonoma independent for the excellent overview of what our hospital will, we hope, become. This interview answers so many questions that people have had and demonstrates how committed AAMG is to our jewel of a hospital, to preserving the quality of personal care we are known for, and supporting the values of West County we are known for. Let’s hope people see through the misinformation and scare tactics to vote Yes on Measure A so this can become a reality and our hospital and local health care can thrive. Thank you Matt. and thank you AAMG for believing in Sebastopol!